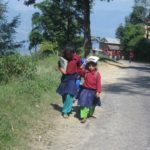 Bruce Keenan serves as Treasurer on The Prem Rawat Foundation’s Board of Directors and as President of Himalayan Children’s Charities. He recently visited the Food for People (FFP) facility in Nepal for the eleventh time since it opened in 2009. 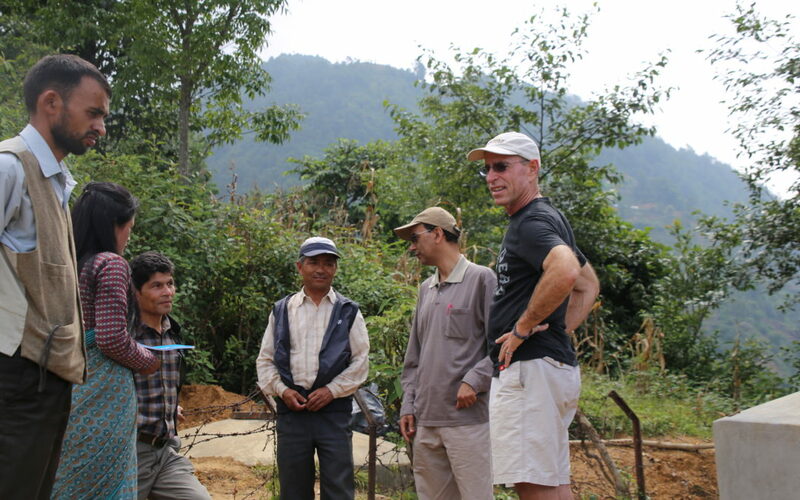 In this interview, Bruce shares observations about FFP, earthquake recovery efforts, and other developments. 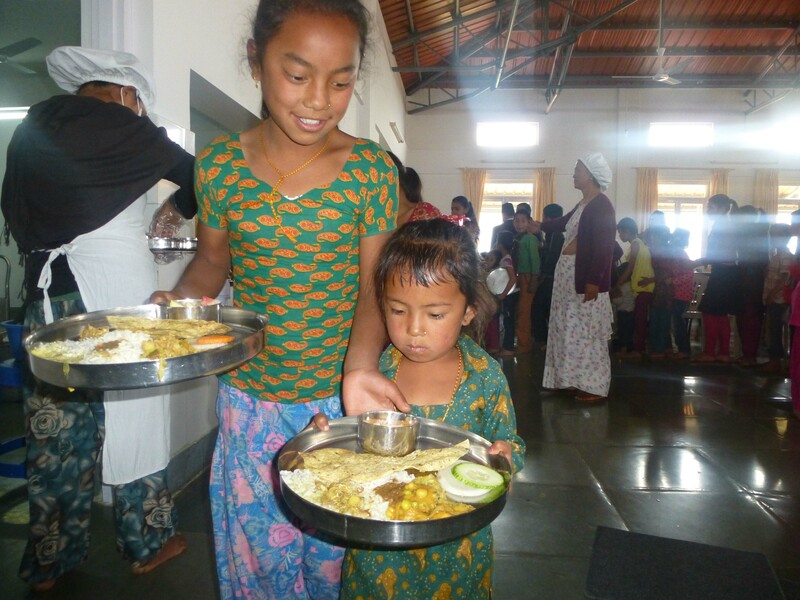 What is it like to travel to the Food for People facility? From Kathmandu, the capital of Nepal, it’s about an hour and forty-five minute drive. You go down the main road that goes toward India. This road has two lanes. 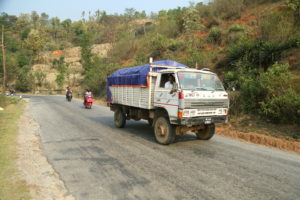 It’s got all these trucks carrying sand and concrete up toward Kathmandu coming the other way, going up the mountain, while you’re going down. And they all pass each other, which is kind of nutty. It’s like a lot of driving in India and Nepal: you’re often sitting there with your eyes closed. You go all the way down into a valley, dropping 2,000–2,500 feet. And then you turn around and get on another road that goes up. It’s known in Nepal as “Sat Gumpti—the road with seven turns” because it has seven big switchbacks. You go back up, I think, higher than Kathmandu. So you pick up all the elevation that you lost going down. And then once you get up to Damechaur, you get a beautiful view. If it’s a clear day, you can see white-capped Himalayan peaks in the distance. It’s really spectacular. What is the village of Damechaur like, where the FFP facility is located? It’s a village of about 20 houses. You have to drive all the way back down the road to get to any real stores. Damechaur is a small agricultural community of plot farmers. Because the land is so steep, it’s all terraced farming. The terraces are mostly between four to six feet wide. That prohibits mechanized farming. It’s hard to use a tractor to plough something that’s six feet wide, so they still use oxen. How does the earthquake recovery effort seem to be going in the area? The people haven’t really recovered yet. Nothing has been rebuilt in a sustainable way. The problem is that the main earthquakes were in April and May, and in June the monsoon rains started. It’s very difficult to build anything when it’s raining really hard. 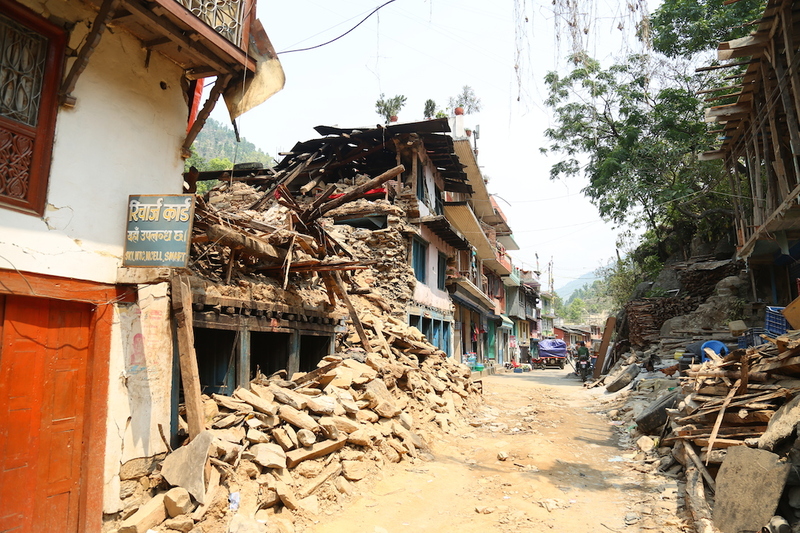 The dry season just began in October, so hopefully more serious rebuilding can potentially start, but most people don’t have a lot of resources. Most of the houses are built out of mud and rock. The earthquakes caused them to crack and fall apart. I saw some of the houses where the roofs collapsed and killed people. It’s really sad. It’s dangerous. But these are the only kinds of materials that most people can afford to build with. How is the FFP kitchen facility holding up? It was unharmed by the quakes. 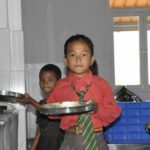 The main food kitchen, where they prepare the meals and feed the kids, is as clean and fresh as the day it was inaugurated. The quakes caused a small crack in a cement wall in a separate small bathroom facility, but it’s structurally sound. 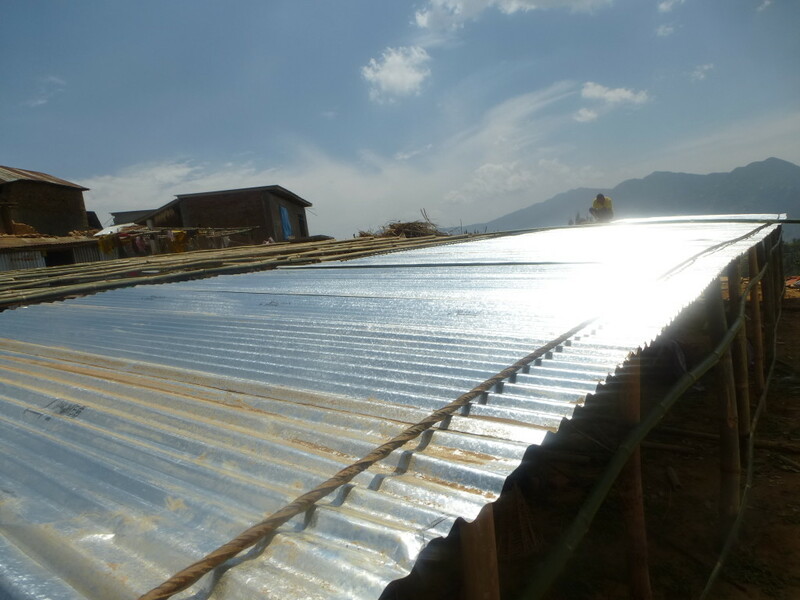 TPRF provided thousands of metal roofing sheets to people for temporary shelters to help them stay safe and dry during the monsoons. How do they seem to be working? They seem to be withstanding the rains well. The metal roofing is providing dry areas for people. Some entire houses are built out of that corrugated metal. People put up bamboo posts and secured the metal sheets against the posts for the walls and the roof, and that’s the whole house. Have landslides been a big problem? They tend to happen every year during the monsoon. But thankfully, at least in the area right near the FFP facility, the earthquakes didn’t seem to make them worse than normal, and there haven’t been any major ones. The roads from Katmandu to FFP are fine. In areas north of the FFP facility further up in the mountains, it’s probably a bigger problem. Many of those areas are only accessible by helicopters because so many of the roads have been destroyed. Are local vegetables still being grown to serve at the FFP kitchen? Was farming negatively impacted by the quakes? The farming seems to be going fine. I saw a lot of organic vegetables that are being grown all around the facility. It seems they’re making full use of every square meter of space that’s available to grow vegetables. They’re really beautiful looking veggies: cauliflower, eggplant, broccoli, cabbage. There was a lot of stuff growing in well-manicured rows. They also started growing mushrooms about a year ago in little sheds because they need darkness. FFP volunteers are teaching local farmers how to grow them so they can earn some income. The mushrooms are a cash crop, because they’re relatively valuable compared to the other vegetables. The local water system was damaged in the earthquakes and then repaired. Is the new system working well? The FFP kitchen and neighboring villages have consistent water now, but people are still working on improvements. The earthquakes shifted the path of a stream that had been providing water to the area and broke a lot of piping. Water’s being pumped into cisterns from a different source now, and then piped to the kitchen and the surrounding village. I saw people working to build bigger, better cisterns. To be continued: Read part two of this interview here. BLESSINGS FOR THE GREAT WORK– bringing real peace!!!!!!!!!!!!!!!!!!!! !